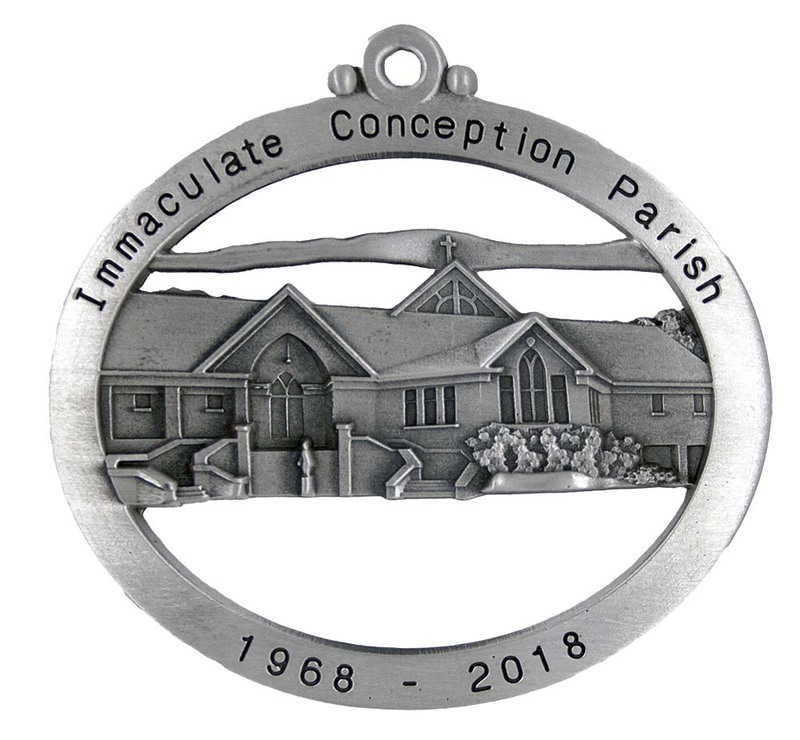 Founded in 1968, the Immaculate Conception Parish in Nashua, NH will be celebrating its 50 year anniversary in 2018. 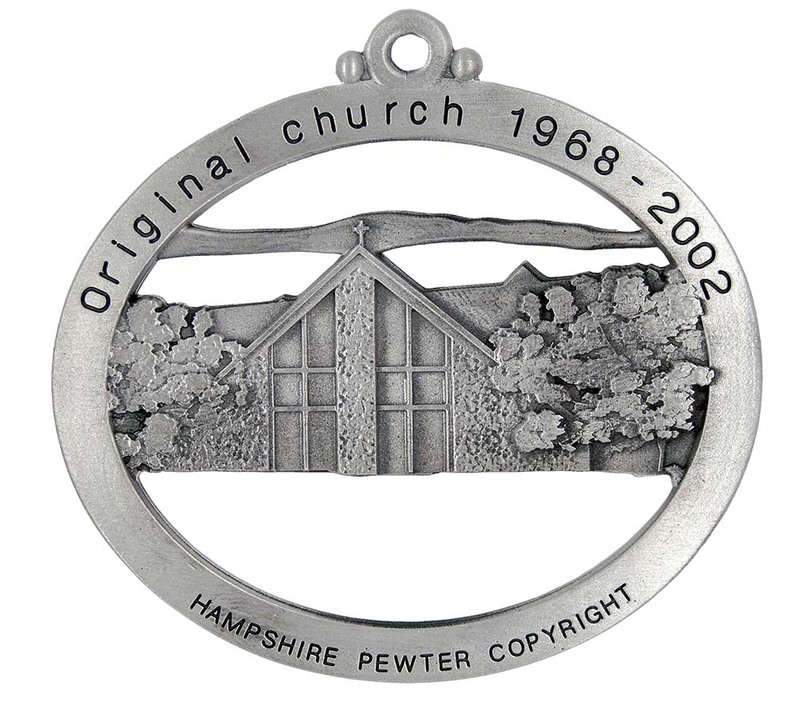 Hampshire Pewter was commissioned to create a commemorative pewter ornament to capture the celebration. The process started with pictures of the church as built in 1968 and the current church which was built in circa 2002. 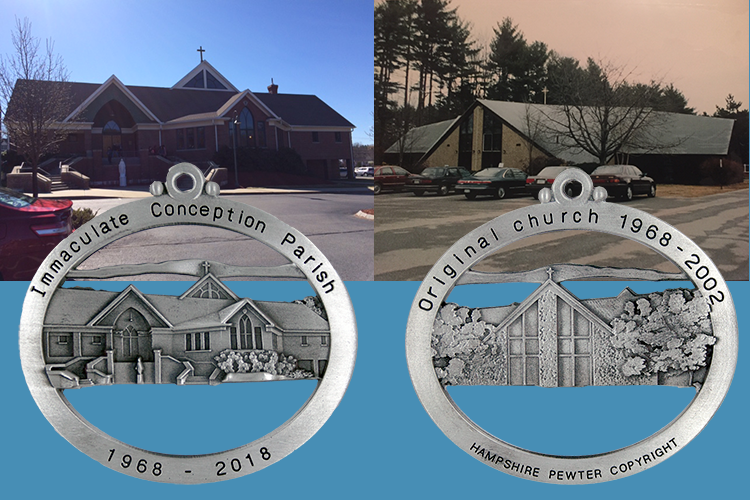 The parish coordinator worked closely with Hampshire Pewter to ensure a quality custom pewter ornament was created. This resulted in the beautifully, finely detailed 3D ornament. The two-sided ornament includes the current building on the front and the original building on the back. Using pewter and our handcrafted techniques ensures capturing some of the finest details of the custom piece.